Leading Wholesale Trader of hose fitting, hoses, finning agents, o-rings and gaskets, thermal sensing device and triclover clamps from Pune. We have gained wide recognizance as prominent manufacturer, wholesaler and trader of world class range of Hose Fittings. We developed premium grade pipes and fittings for rubber and thermoplastic hydraulic hoses. DIN/SMS fitting Fittings are made from premium grade alloy under stern quality controls to make the construction compliant to the standard hose application. 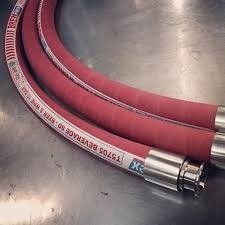 Our Hoses are immaculate for general activities involving air. We manufacture smooth finish hoses which are abrasion resistance. All these hoses are made out of high quality synthetic rubber and can be availed at economical rates. Our products are precisely engineered to ensure utmost quality. Bi fluoride, ammonium bi fluoride, sodium difluoride, potassium acid fluoride, fluoborate, copper borofluoride, lead tetra fluoborate, ammonium hexafluorosilicate, magnesium fluorosilicate, borate, sodium hexameta phosphate di sodium phosphate, mono phosphate, tri phosphate, sulphate, acid, hydrogen carbonate, chromate, calcium bi chromate. We specialize in manufacturing o ring gasket that are widely used in different fields such as steel,O-rings And Gaskets metallurgy, mine and more. These product act as an effective sealant and protects the machine from dust. Our O-rings And Gaskets comprehensive range of are available in variety of sizes to suit the varying needs of the clients. 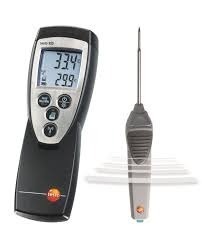 Thermal sensing device or thermography, detects heat patterns or temperature changes in objects. These changes allow the user to discover problems prior to costly downtime, or monitor developing problems so maintenance can be scheduled during a planned downtime or when budget is available. 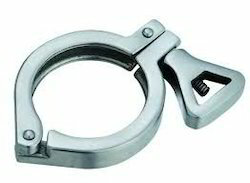 Relying on our quality oriented professionals, we are offering Triclover Clamps to our clients. These clamps are part and parcel of different industrial applications and are offered in different dimensions to our clients. These clamps are reckoned for their excellent functionality and are able to give best performance in adverse conditions also. These clamps are coated with abrasion resistant material and are delivered in timely manner. 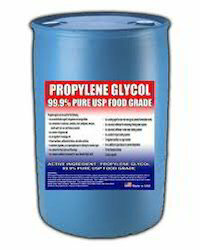 We offer an exclusive range of Glycol at unmatched quality and market leading prices. Our clients can avail this product in different grades and dimensions that suits best with their demands and requirements. We at GK SCIENTIFICS have experinced brewer to help you in getting your microbrewery the best equipment with budgeted price. We take whole turn-key project from plant design to installation and actual brewing. We focus a lot on customer satisfaction and timely deliverance. From our exceptional gamut of products, we are occupied in delivering a well-designed collection of Atomic Absorption Standards, Ion Chromatography Standards. 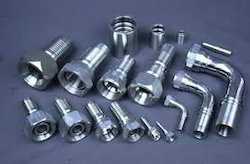 Fabricated making utilization of best in grade factory material along with modern tackles and techniques, these products are in tandem with the industry defined norms and guidelines of excellence. 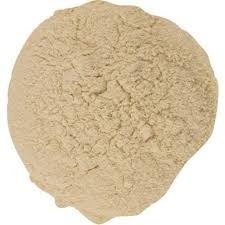 Additionally, their wide utilization in varied industries makes these products highly famous in the market. Looking for Brewery Requirements ?